This offseason, I have primarily been focused on MiLB pitchers. Now that we have moved on from our preseason rankings on this site focused on ADP gems and busts, I have expanded my horizon to include pitchers under 25 years old. There just aren’t that many MiLB pitchers to discuss when it comes to ADP. Other than Chris Paddack who is poised to break camp in the Padres’ rotation (perhaps as high as the #2 starter), the other noteworthy prospects seem destined to start the season in the minors. My goal in this piece is to give you some food for thought during your drafts. Should I draft that hot young arm over the steady vet in redraft leagues? Should I be wary of small sample sizes and minimal innings or am I all in on this talent? What are some sneaky picks I can make late to round out my team with players that will perform much greater than their ADP? In essence, are you buying these young arms at their current ADP believing they will perform at or better than that pick? Or do you sell and pass on these guys? Do you prefer to let another owner take the risk at a critical pick and opt for a more known commodity? There is so much to discuss regarding these type of questions, and I would love to jump start this discussion with a few up and coming arms that broke on the scene last year in a big way. I will use FantasyPros average ADP as a baseline as it represents five of the top sites for ADP (ESPN, CBS, Yahoo, RTS, NFBC) and although I personally prefer dynasty formats, I will primarily focus on my thoughts on redraft leagues as those are the majority of drafts that are happening now. The only true redraft league I’m in is a BABS league through Ron Shandler’s site. I will be referencing that draft throughout. Flaherty broke on the scene last season finishing as a Top 50 pitcher in most formats with an ERA of 3.34, 1.11 WHIP, 3.08 K/BB and 2.6 WAR over 151.0 innings in St. Louis. As a result, his value has shot up the ADP boards and FantasyPros has him slotted in as the 23rd pitcher off the board in 2019, 67th overall. This puts him squarely in the discussion of 5th/6th round and SP2. Just before him on this list is Kershaw (17th pitcher, 52nd overall), Greinke (18th pitcher, and Strasburg (19th pitcher, 59th overall). If he can replicate his numbers last season, he is probably worth this high draft pick. Can he repeat? Well if you add his five starts at AAA he hit 181.1 total innings in 2018. This shows me that he should have no issues getting close to 200 innings if healthy which is key for an SP2. Let’s say he conservatively hits 175 innings, he could net you 200 strikeouts, sub 3.50 ERA and sub 1.20 WHIP. He has the potential to have better ratios than that, but I always plan for a slight regression in year two as teams make adjustments over the off-season. How does this fit in with the high-profile names going in the 5th round? Gone are the days where you can pencil in Clayton Kershaw for 200+ innings and 200+ strikeouts. He dealt with some injuries last season which limited him to 161.1 innings and many were calling it a down year. I’d be happy with a sub 3.00 ERA, sub 1.10 WHIP, 5.34 K-BB, and 3.3 WAR. In a down year with 10 more innings than Flaherty he still had better numbers across the board in ratios. Although Flaherty isn’t a slouch with his command, Kershaw had half the walks in 10 more innings. In points leagues, Flaherty makes more sense due to the fact that Kershaw is already slated to miss time early in the season and Jack should easily get five to six more starts this season than Clayton. That being said, if Kershaw is out there, his ratios will be better than anyone near this ADP by a long shot and is a better value in roto and categories leagues. I was targeting Kershaw in my BABS draft but he was snagged in the 3rd round (38th overall) which was too rich for me. Greinke is dependable as it comes despite being 35 years old. An All-Star four of the last five seasons, you can pencil him in for 200 innings and 200 strikeouts. He does keep guys off the bases which is important as he has struggled with the long ball since moving to the desert. Gone are his sub 3.00 years but worthy of an SP2. With that being said, I think Flaherty has a better shot at exceeding his ADP value while Greinke is slotted in at about the right spot based on his projected production. In my BABS league, he actually went 37, one spot ahead of Kershaw. Definite reach in my opinion. Kershaw and Flaherty should reach the value around the 4th/5th round, but Greinke and Strasburg are further down on my lists. German Marquez (24) Vs. David Price Vs. Madison Bumgarner Vs. Zack Wheeler. Marquez not only had an incredible season for a Rockies pitcher, but he was also a Top 5 pitcher during the second half of the season, finishing in the Top 20 in most scoring formats. He has one more year of life as well as one more season of MLB service than Flaherty, but 2018 was definitely his “coming out party.” He has firmly established himself as the Ace of his staff, but his ADP slots him as the 32nd pitcher off the board and 90th overall. This puts him in SP2/SP3 territory being drafted in the 8th/9th round. He finished with a respectable 3.77 ERA despite pitching in Coors Field. He sported a WHIP of 1.20, K-BB ratio of 4.04 and WAR of 5.3. His electric stuff helped him notch 230 strikeouts in only 196.0 innings. I project him this year to reach 200 innings with at least 225 strikeouts. If he can build off his second half, I believe he can bring his ERA down to around 3.50 with a sub 1.20 WHIP. I see his final numbers roughly in the same neighborhood as Flaherty but he is going 23 picks later. He will probably give up an extra HR or two pitching in Coors, but his command is better the Flaherty so he can keep the extra guys off base. So what grizzled vets are going in the same range as Marquez? There are a few big names to contend with here such as David Price (30th pitcher, 86th overall), Madison Bumgarner (31st pitcher, 87th overall), and Zack Wheeler (34th pitcher, 93rd overall). Mike Foltynewicz would have been slightly ahead of this group if not for his elbow tightness he has been experiencing this Spring. Folty went 183 in my BABS draft roughly 100 picks lower than this group is at. Price has not been as effective in Boston over the last three seasons as he was in any of his previous starts, however, a 3.58 ERA, 1.14 WHIP, 3.54 K-BB, and 4.4 WAR isn’t bad for an SP3. If Price stays healthy he should put up similar numbers as last season which may be less risk than Marquez as you know what to expect and don’t have to contend with park effects. Price went 99th in my draft about a round below ADP which feels about right. The safe pick may be less risk, but Marquez offers a higher ceiling, especially considering Price’s FIP of 4.02 suggests his numbers were better than what he actually pitched. MadBum is a post-season legend and nothing he does (or doesn’t do) in the regulars season can change that. He comes off two straight injury-plagued seasons following six consecutive years of 200+ innings. From 2013-2016, he posted four years of All-Star caliber production of over 30 games started, sub 3.00 ERA, Sub 1.10 WHIP, and 200 strikeouts (technically 199 in 2013). It appears that all those innings plus deep runs into October has limited his availability and ultimately his effectiveness. He is no scrub and but his command failed him last year as he was clearly not right. Perhaps the two short seasons will have given his arm enough rest to allow him to bounce back during a contract year at age 28. I love MadBum but he is going at 87 for name sake only and he needs to have a “prove it year” take be worth going that high. Apparently, my fellow league-mates agreed as I was able to snag him in the 13th round as my SP6. I’ll take him there all day. Zack Wheeler had a fine stat-line in 2018 (3.31 ERA/1.12 WHIP/3.25 K-BB/4.2 WAR). His 93 ADP seems about right as well, however, I will take him over Price at this spot every day of the week. Pitching in the NL and the limited innings on his arm (only 554.0 at age 28) makes him a better candidate to exceed this ADP value than the vets on this list. He went exactly at 93 in my draft and first out of this group of four. I like Wheeler and Marquez at this point in the draft and they both are trending up and could offer tremendous value here. Both Price and MadBum are reaches at this point for what I can expect in terms of production. I was sitting on the turn with picks 90 and 91, but I already had DeGrom, Nola, and Snell at this point so I passed on both to take Matt Chapman (needed a 3B at a thin position) and Jose Perez (I was thin on SB). Wheeler, Marquez, Price came off the board before I picked again and I grabbed Chris Archer as my SP4. I wish I took Wheeler or Marquez but couldn’t wait any longer on those other needs because I stacked my rotation early in the draft. This is a mantra that my colleague, Joe Iannone, here at MLFS preaches. Closer is the most volatile position in baseball and many leagues are transitioning to a SV+HLD format that brings value to high-leverage middle relievers. This is not to say there isn’t good value out there for closers, but that doesn’t need to be your sole targets. Here are two ADP gems to add value to your bullpen without overspending. Jose took over as closer for the Rays after the trade of Alex Colome late last season. He did a great job and enters 2019 as the unquestioned closer for the club. Tampa is a damn good team now and they play a lot of close games so he will have plenty of save opportunities. He struck out 11.3 batters per 9 and gave up only one (1) home run the entire season over 64.0 innings. He does have some command issues, but closers with nasty stuff and get away with that if they don’t give up the long ball. In a full season in the 9th, I could easily see him notch 40 saves and also contributing in ERA and strikeout categories. I like him way better than Ken Giles and Cody Allen who are both going way higher (143 and 156 respectively). He was taken 136 overall in my BABS draft ahead of Wade Davis, Raisel Iglesias, Giles, Corey Knebel and Allen who are all established closers. I had just taken my first closer at 131 and was going to grab Alvarado on the next turn, but he never got back to me. He is a lock to exceed his ADP value if he remains healthy. Ok, so his stats in 2018 weren’t awesome. 4.31 ERA, 1.20 WHIP, 3.55 K-BB, 0.1 WAR. This contributes to his low ADP, but he did represent the Tigers in the All-Star game last season after a strong start. He did struggle down the stretch, but now with a full season under his belt, I believe he can put it together for an entire season in 2019. He is locked into the 8th inning role that gives him prime changes for holds and could strikeout over 11 per 9. His 2.91 FIP suggests he had some bad luck down the stretch and he really is a better pitcher than his final numbers suggest. I project him at a 3.50 ERA, 1.20 WHIP and around a 5.0 K-BB. He should slide right into the closer roles by the end of July as Shane Greene is likely to be traded by the deadline. Greene is going at 225 and doesn’t strike anyone out. Jimenez represents great value at the end of the draft as a CLEW (Closer-en-Waiting) and should rake up over 30 SV+HLDS in 2019. There are a lot worse ways to blow your last pick in the draft with his ADP suggesting he is not draftable in leagues under 16 teams. I’m willing to take that risk and grabbed him in the 26th round to put an exclamation point on my bullpen. I hope this gave you some things to think about as you knock out your last drafts of the season. 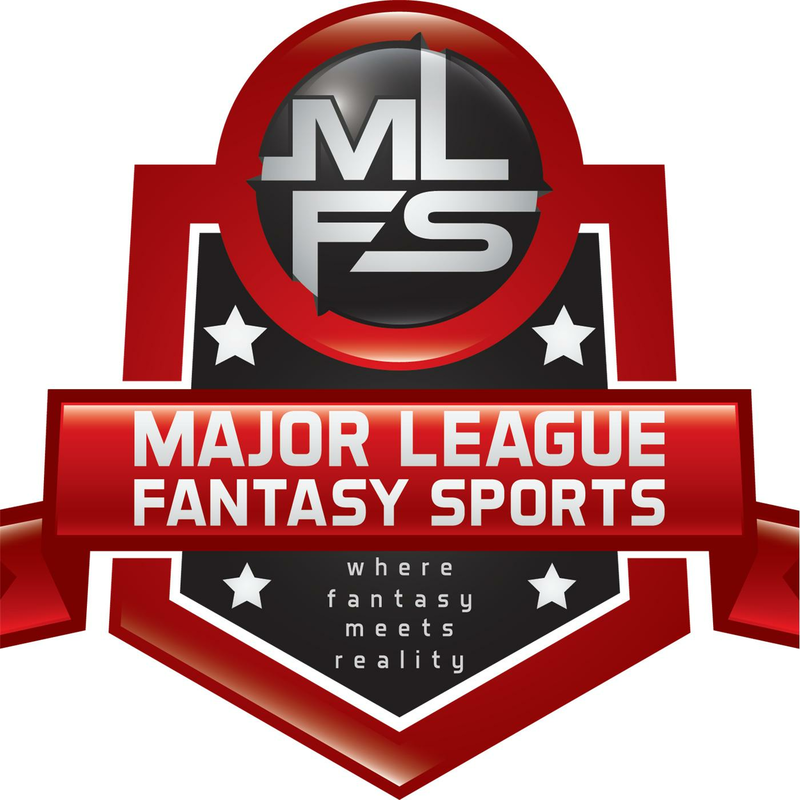 As we head into the season, I will be focusing more on the Radio Shows here at MLFS instead of the writing. Fear not, I will be back in June to help break down the amateur draft. Good luck to all this season!! !